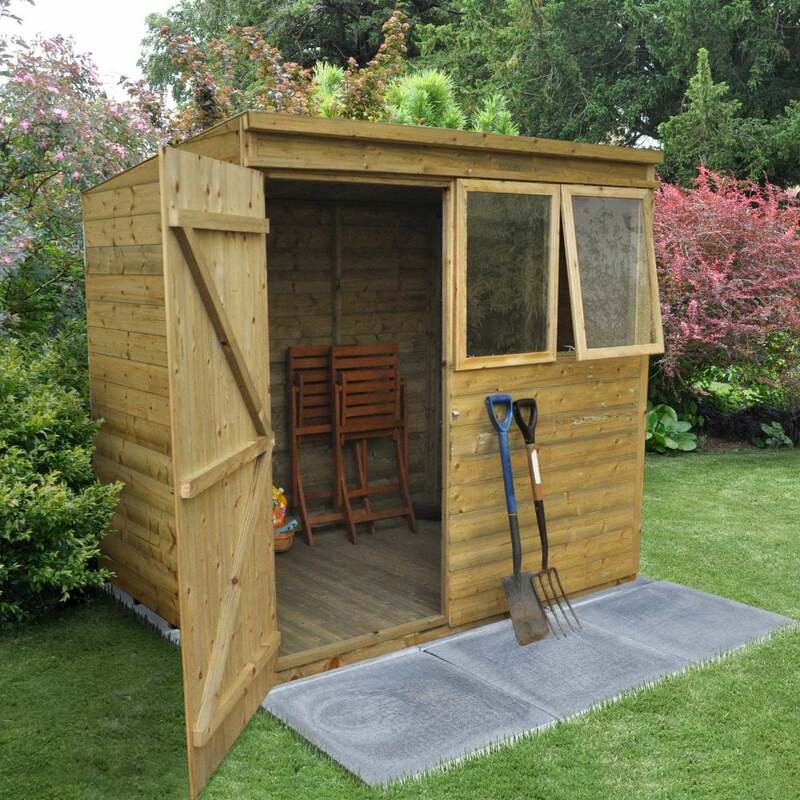 Forest Garden 7 x 5 Premium Tongue and Groove Pressure Treated Pent Shed: The Forest Garden 7 x 5 premium shed has only the best quality designs and features to make it a long lasting, excellent outdoor storage space for the garden. This premium quality shed is constructed from tongue and groove timber which is pressure treated for a long lasting rot resistant finish, the boards are tight fitting to protect against the elements and the shed also includes tongue and groove floor and roof for added quality and durability. The floor is pressure treated and the roof is covered with the included shed felt. This premium garden shed has a single door and window on the front side which is the longer dimension and features a pent style roof which has a single slope and offers more head room to the front of the building. This wooden shed has 2 acrylic opening windows with stainless steel fixings and the door also has stainless steel fixings which are hidden for added security and the door itself has double Z framing for enhanced strength. This shed is FSC certified from a sustainable source and includes a 15 year guarantee against rot and fungal decay. Your new premium quality shed will be delivered flat packed for easy self-assembly by no less than 2 people.